The mouth-watering taste of Southern Fried Chicken is available in a selection of different menu items, and can also be modified to suit your local market. 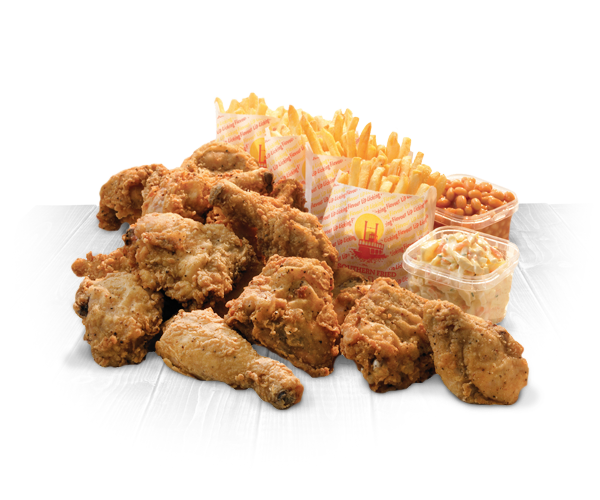 Enjoy the world famous SFC mouth-watering taste in a choice of 8, 10, 12 and 15 piece buckets, served with portions of fries, beans and coleslaw. Nutritional information based on a single portion from an 8, 10, 12 or 15 piece bucket. Nutritional information is based on a single persons UK portion size, the %GDA is calculated for an adult Women. Information may vary depending on location, please contact your local restaurant for specific nutritional details.